Tabitha and her four best friends all wear purity rings, symbols of the virginity-until-marriage pledge they made years ago. Now Tab is fifteen, and her ring has come to mean so much more. It’s a symbol of who she is and what she believes—a reminder of her promises to herself, and her bond to her friends. But when Tab meets a boy whose kisses make her knees go weak, everything suddenly seems a lot more complicated. Tab’s best friend, Morgan, is far from supportive, and for the first time, Tabitha is forced to keep secrets from the one person with whom she’s always shared everything. When one of those secrets breaks to the surface, Tab finds herself at the center of an unthinkable betrayal that splits her friends apart. 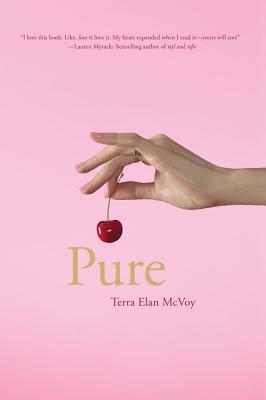 As Tab’s entire world comes crashing down around her, she’s forced to re-examine her friendships, her faith, and what exactly it means to be pure.